On this episode Jairo of THE TRUE BROMANCE FILM PODCAST and Mike of SOBER CINEMA debate the merit of Gary Oldman's performance in DARKEST HOUR as being his finest acting hour. The ultimate character actor is compared to such a distinguished group of peers that includes Nicolas Cage, Daniel Day Lewis, and Tom Brady. 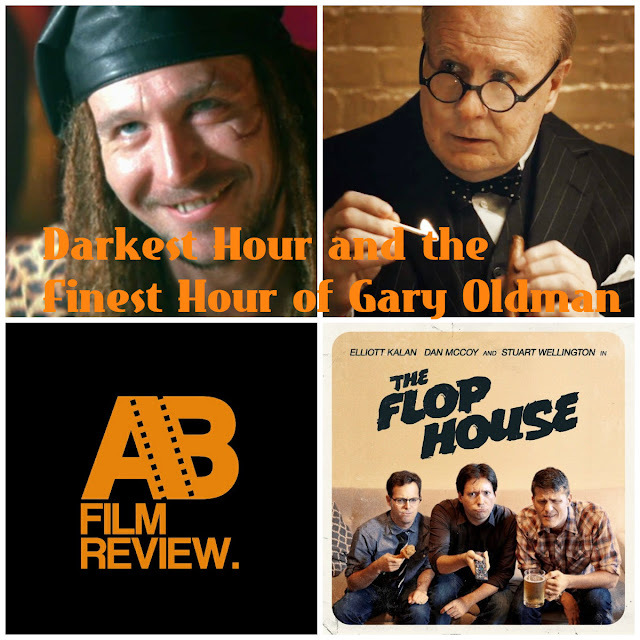 You may not have heard of these struggling artists, so we also bring in two great podcasts AB FILM REVIEW and THE FLOP HOUSE to help make our point on the validity of Gary Oldman as a performer as opposed to an actor. ALSO the hosts take the time out of Gary Oldman's march to an Oscar to settle some scores with James Franco and Eddie the Eagle. We think the Drexl version of Mr. Oldman would approve.